Guest Post. 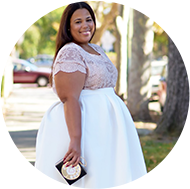 If you are not familiar with SimplyBe, consider yourself informed. Fabulous dresses a-plenty, they have much the offer the plus size woman in the frock department. Have you ever drooled over an Anna Scholz original? SimplyBe even has more economical line from Anna Scholz that hovers in price range from $100 - $150 as opposed to the usual $400 price tag from the original line. My beloved white tuxedo jacket comes from SimplyBe. Some of my favorite pieces from this site are the structured dresses that resemble that Victoria Beckham structure. Check out some of my wishlist frocks. What’s your favorite? Check out Simplybe here. Post was sponsored by SimplyBe. I definitely have to check them out........love the dresses on top right and bottom right! I'm curious about the fit. Asos Curve always runs a bit big. How does Simply Be compare? Are they large, true to their sizing chart, or run small. To me they are pretty true to size...and yes Asos Curve does run big.